2013 RDA Proposals, Discussion Papers, Etc. 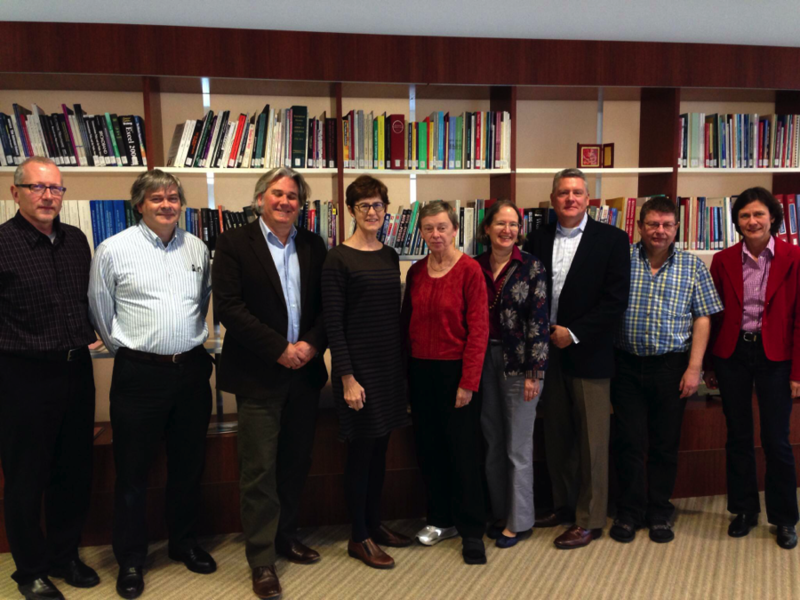 The Joint Steering Committee for Development of RDA (JSC) met at American Library Association Washington Office, in Washington, D.C., USA, from November 4-8, 2013. Troy Linker and James Hennelly, representing ALA Publishing, also attended; eleven other observers also attended the public sessions of the meeting. The JSC welcomed Kathy Glennan, the new representative from the American Library Association. Dave Reser, the representative from the Library of Congress since December 2012, attended his first JSC meeting as a representative. Barbara Tillett completed her term as JSC Chair at the end of the meeting. Gordon Dunsire is the new Chair of JSC. The next meeting of the JSC is tentatively scheduled for the first week in November 2014 in Washington, D.C. This is a summary of the main outcomes of the JSC meeting. Further information about JSC’s activity and the development of RDA will be found in the annual report for 2013. The JSC discussed 48 proposals and discussion papers plus the responses to those documents. The documents represented a wide diversity of topics and included submissions from the JSC RDA Examples Group and the JSC RDA Music Joint Working Group in addition to cataloging communities beyond the JSC (the European RDA Interest Group (EURIG), the ISBD Review Group, and the ISSN Network). Changes to RDA approved by the JSC during the meeting will appear in the RDA Toolkit in the April 2014 update. Documents, labeled as “Sec final” versions, of approved proposals will be posted on the JSC public web site during January 2014. JSC members will respond to the non-JSC communities who submitted proposals and discussion papers. A table listing the JSC decisions/actions for all proposals and discussion papers will be posted on the web site in January 2014. Some of the major decisions taken are summarized below. 6JSC/DNB/Discussion/1 [Discussion paper: First issue v. latest (current) issue]: JSC affirmed its decision, taken in 2012, that RDA should be sufficiently flexible to support any approach to recording changes over time. Pending the realization of these changes, agencies following the latest entry technique should continue to do so and may encode their records as RDA. 6JSC/EURIG/Discussion/4 [Representing date of works and expressions in RDA] and 6JSC/EURIG/Discussion/5 [Representing language of expressions in RDA]. JSC referred to the Technical Working Group to propose a generic solution to the issue of recording metadata about metadata. 6JSC/BL/10 [Revision (9.8.1.3, etc.) to eliminate use of abbreviations for places] and 6JSC/DNB/2 [Larger place – Revision of RDA 16.2.2.4 (Recording the Preferred Name)]. JSC welcomed the proposals but decided to establish a Working Group on Places to develop a holistic solution. 6JSC/DNB/1 [Parts of the Bible: Books (RDA 6.23.2.9.2)]. JSC agreed with the intention to generalize the existing instructions but decided to delay any changes until a more comprehensive solution is developed in a future proposal. 6JSC/Music/3 [Proposed revisions for medium of performance (RDA 6.15.1, 6.28.1.9, 6.28.1.10, and Appendix E.1.1)]. Approved by JSC with revisions. 6JSC/ALA/23 [Revision proposal for RDA instructions for treaties], was approved with revisions. 6JSC/BL/14 [Revision of RDA 11.13.1.8.2, Access point for a series of conferences, etc.]. Approved with revisions. 6JSC/CILIP/Rep/3 [RDF representation of RDA relationship designators: a follow-up discussion paper]. JSC approved recommendations, some have been taken forward as fast track proposals; others are referred to the JSC Technical Working Group. 6JSC/ACOC/7 [Compilers and editors of compilations-Amendments to RDA 20.2.1], was agreed with revision. A further outcome from discussion of this paper and 6JSC/EURIG/Discussion/3 was the decision to merge the relationship designator, “Editor of compilation” with, “Editor”, to simplify decision making. 6JSC/DNB/3 [Attributes of manifestations: Instructions for more than one instance of an element]. JSC approved a review of 0.6 and changes at 0.6.1 to make it more explicit that instances of elements may be iterated as needed, beyond the core requirement. 6JSC/BL/13 [Revision of 9.6]. JSC approved with revision. The changes will offer guidance on application of 9.6 (Other Designation Associated with a Person). Deborah Fritz and Troy Linker attended the meeting via an Internet connection, using GoToMeeting software, to participate in the discussion of a paper Deborah had prepared with Barbara Tillett regarding missing elements. The JSC will establish three new working groups on the following topics: the RDA/ONIX framework, places, and technical matters. Gordon Dunsire will also be the liaison to ALA Publishing’s technical implementation committee. A EURIG member will be added to the RDA Joint Music Working Group and the JSC’s RDA/ONIX Framework Working Group.